There’s nothing I love more than discovering sweet vacation deals, so this week’s RCI sale is right up my alley. If you move fast, you can pick up some pretty cool discounts. I just did a quick search, and see that we could get a Colorado ski week, a beach week in Mexico, or a whole lot more – for just $219 per week. This RCI sale is for Extra Vacations, which means that you don’t need to trade in your own timeshare, you just pay for the week’s vacation. Weeks on sale range from very to moderately short notice. All travel needs to happen between November 22 and March 30. The biggest limitation is that the sale only lasts one day – you need to book it by Nov 19. Platinum RCI members get an extra day’s access, so we can start booking on Nov 18 and make it a 2-day sale. That early access is a nice benefit about RCI Platinum. It’s hard to quantify what the early access is worth, since I don’t know for sure what will disappear on Platinum day vs. still being available the next day, but I do find that a nice benefit of RCI Platinum membership. * Travel between November 22 to March 30. Now let’s see… What kind of weeks can you get for $219? Here are a couple that caught my eye, and there are lots more! Located in the Rocky Mountains of southern Colorado, this resort puts you in the heart of the San Juan National Forest. If you like winter sports, you can find multiple ski weeks here available in January and February. The resort is close to the Wolf Creek ski area, known for getting the most snow in Colorado. 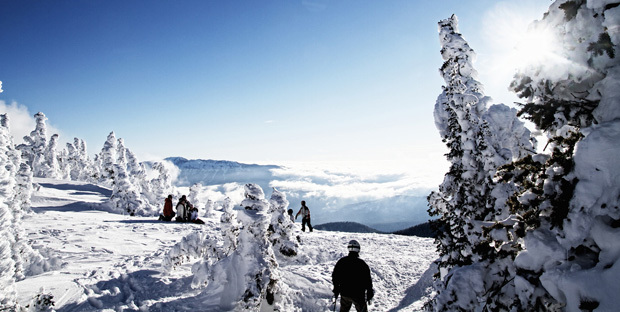 In mid-November, they’re already open with a base of 36″ and all lifts operating. You’ve also got cross-country skiing, snowshoeing, and other winter activities available. Let it snow! The resort has fully equipped suites, an indoor pool, fitness center and free wifi. What do you get? A 1 or 2-bedroom unit in the Colorado Rockies, with numerous ski season dates available. $219 for a 7-night stay, normally priced up to $1299. If you’re thinking of warm, sunny beaches instead of cold, snowy slopes, here’s another possibility. What about Acapulco if you’re thinking of warm weather beaches? 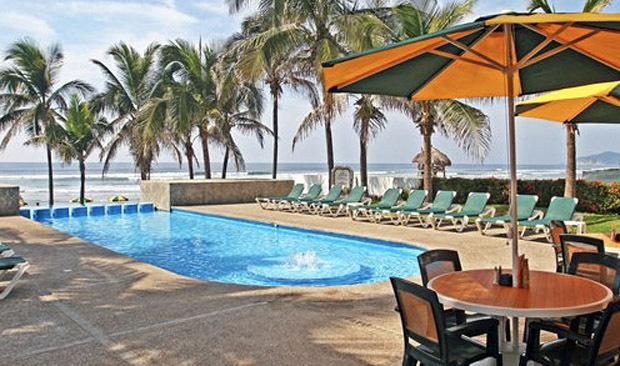 This gold crown resort offers a beautiful and quiet place to get away from it all, on the Pacific coast of Mexico. The tropical landscaping features brilliant bougainvilleas, waterways and a lake. There is a spectacular 2-level pool with a cascading waterfall, and you’re across the street from a great sandy beach. If you tire of the beach and pool scene, you’ll find golf, tennis, and spa treatments nearby. The Kids Club provides organized activities for children of all ages. What do you get? Hotel, 1 and 2-bedroom units are available in Nov and Dec, normally priced up to $773. Hotel rooms are available through Jan, Feb and March. Everything is $219 for a 7-night stay (with no all-inclusive fee). These are just a couple of places that caught my attention, and there are many other timeshave vacations on sale. To see what’s available, log into your RCI account by November 19 and look around. These weeks I mentioned are limited offers. I don’t know how long they’ll be there before somebody snaps them up! Who’s eligible? These deals are only available to timeshare owners who belong to RCI. You don’t need to deposit or exchange your timeshare to take advantage of this sale. It’s a straight credit card transaction. You just need to move fast, before the sale ends and these vacation deals disappear. Have you stayed at either of these resorts? Have you gotten any other great deals on RCI sales? Let us know in the comments below! Would you like to take advantage of deals like this? Timeshares offer some great benefits that go beyond what you own, like these cool extra vacations for bargain prices. For tactics and techniques to help you make the most of your timeshare ownership, check out my Timeshare Owner’s Guide to Winning the Timeshare Game. You’ll find tips that help you maximize the value you get from your timeshare, for more enjoyable vacations than ever. Can you book this week if you do not own a timeshare? Thanks. No, this is only for timeshare owners.